We assure you this experience will be unique! 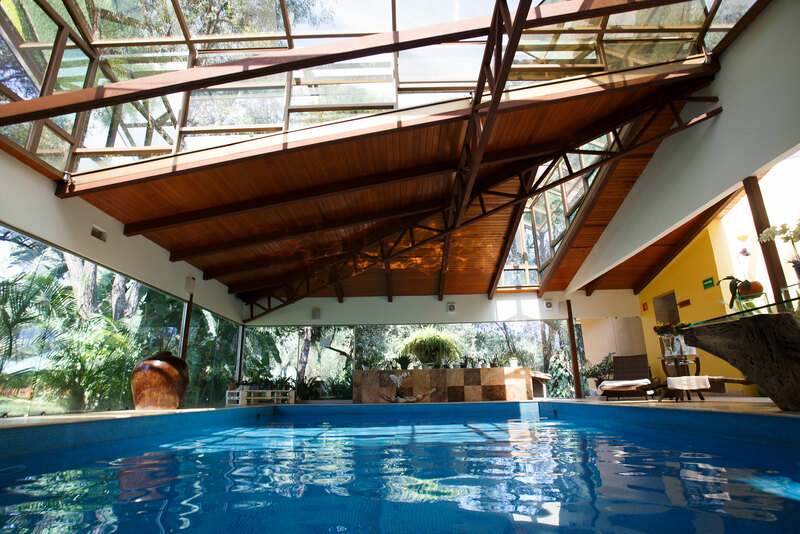 In Quinta Sauz, where your well-being is our concern, and for this reason we created Spa Quinta Sauz, a center specialized to attain the perfect balance between body, mind, and soul. 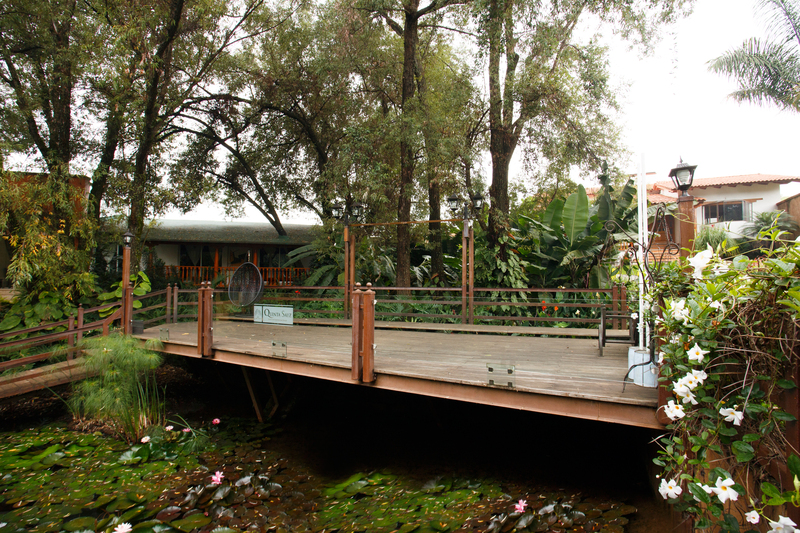 The perfect combination of beautiful gardens that surround the facilities, the exclusive design of our massage cabins, state-of-the art technology and the specialized knowledge of our therapists with more than 8 years of experience will allow you to recuperate harmony as you break with the daily routine. 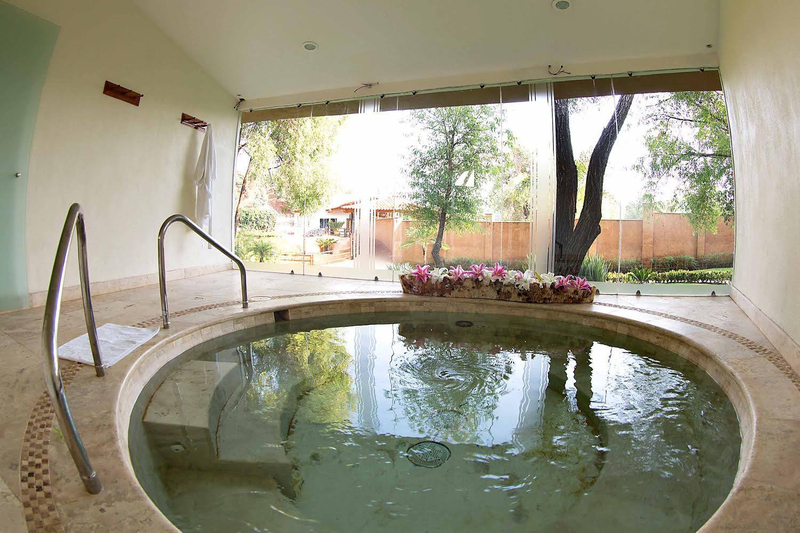 Allow yourself to be treated at the Quinta Sauz Spa—with its four massage cabins, humid areas and one of the sensory deprivation chambers in the Mexican Republic—is a must. Helps to detoxify your body of heavy metals absorbed from the environment, improve your respiratory system, free toxins and improve the circulation through dry heat. You should not let this opportunity to enjoy these body treatments slip by. Quickly obtain a profoundly relaxing state by covering your entire body with steam and allowing it to breathe until your skin is purified, besides improving your immune system and releasing accumulated stress. 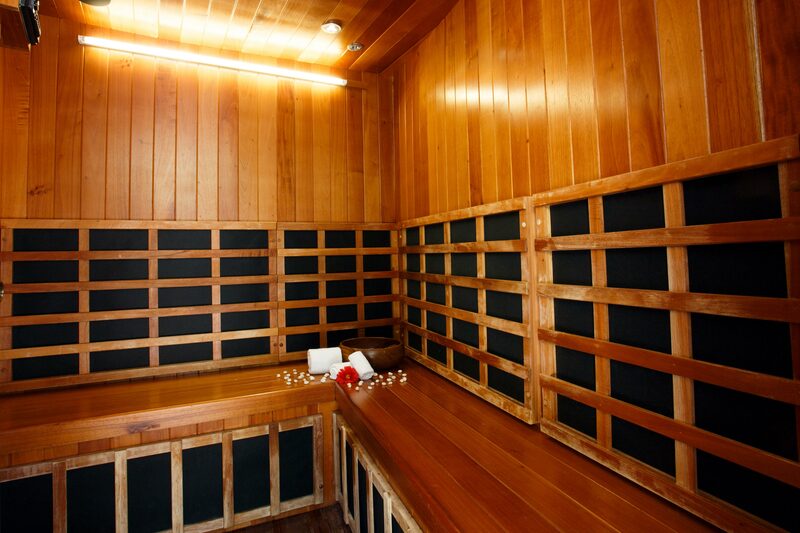 Relax your muscles in a peaceful environment through hydro-massage. Our Jacuzzi is an excellent option to minimize general fiber-myalgia, chronic rheumatism and work stress. Our hotel is an oasis where you can enjoy a covered pool, heated 24 hours, and with a spectacular view of our gardens. We assure you that will love the privacy. More than 24 services are available in our massage cabins, all so you can relax, take good care of yourself and give yourself the chance to rediscover your true self. 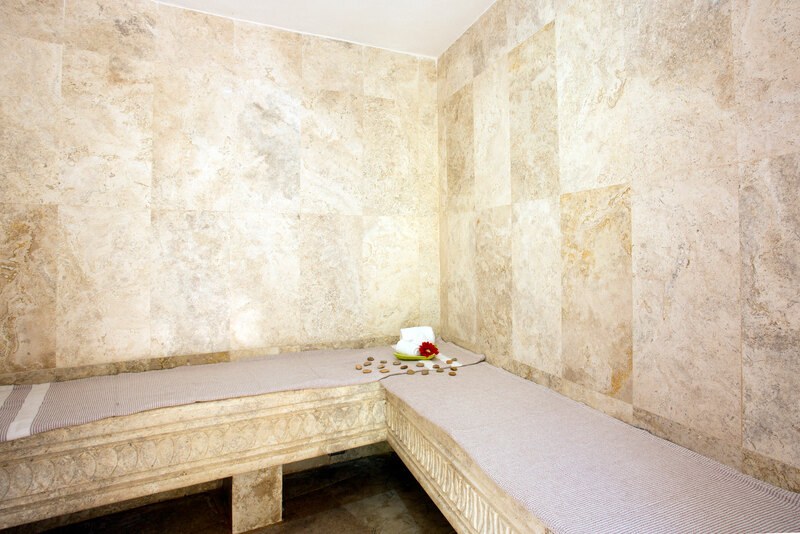 Our cabins are fully-equipped to offer personalized full-body treatments and facials, and are harmoniously arranged with everything necessary so that your experience is unforgettable. Every cabin has a particular design, is illuminated warm light, and has independent audio. 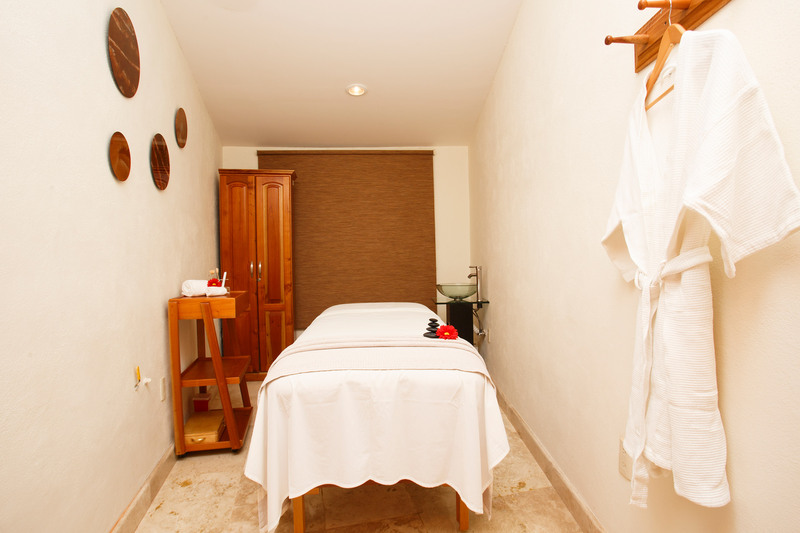 Enjoy a massage from the hands of our experts and remember what it is to rest. Allow yourself to have a unique experience of complete psychophysical relaxation in our chambers of sensory deprivation, where by means of isolating sensorial stimuli (light, sound, smell, touch) you will discover the peace and tranquility that your mind and body require to function well. The sensory deprivation chamber is a treatment of alternative medicine that cuts all sources of sensory experience: sound, sight, smell and touch, which works reducing the body stress. You will discover the chamber for 30, 60, or 120 minutes. If you like the sun or simply enjoy being in nature, our sun room is a place that you must visit. Located in the middle of abundant vegetation of our water hole and spacious gardens, the sun room is furnished with lounge chairs, tables, chairs and umbrellas so you can take full advantage of the benefits that sun bathing provides. Note: All of our services are by appointment. Schedule from 9:00am until 6:00pm. Standard time from 50 to 120 minutes. IMPORTANT: The filling of this form does not guarantee the reservation of your appointment, every appointment will be subject to change of date and schedule according to availability.